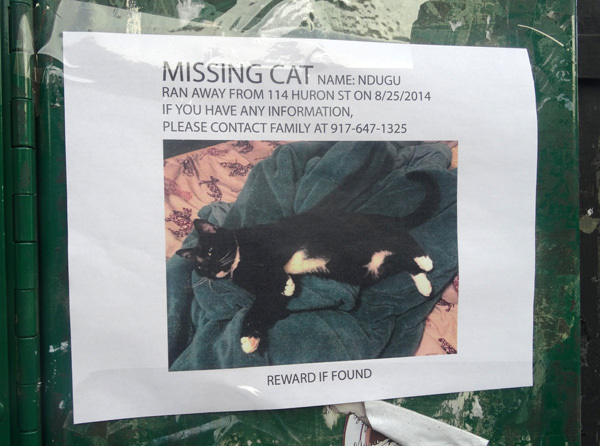 Spotted On Manhattan Avenue: Ndugu Is Lost! If you have seen Ndugu or know of his (her?) whereabouts please call his family at the above listed phone number. Thanks!